If you need a caravan towing somewhere, be it for a holiday, winter storage, or simply because you have sold it and need it delivering to the new owner, then get in touch. 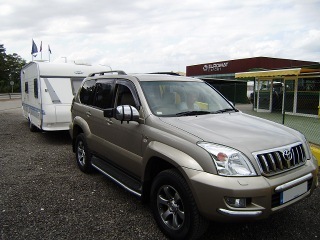 Towing a caravan can be stressful, especially over longer distances and on unfamiliar roads. I have towed caravans to holiday destinations across Europe, allowing the owners to have a stress free holiday - and at the end I go back and collect their caravan and deliver it back home. I will also sort out the ferry crossings and associated paperwork. 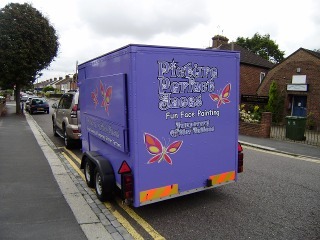 I can also collect and deliver trailers, such as box trailers or catering trailers, across the UK and into Europe. The item to be towed must be in a road-worthy condition, including good tyres. 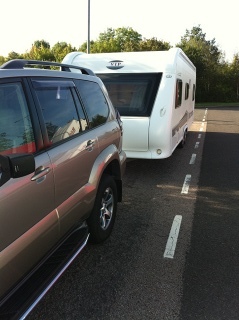 Please note that for caravan and trailer work, my insurance covers road risk third party and public liability only. You will need your own insurance to cover the caravan and contents. Most owners already have their own insurance, if not then I can provide details of how to arrange if required.